Single family home values have posted a fourth straight month of double digit year-over-year gains. Purchasers continue to pay an average of 17% over list price, with purchasers in the middle tier ($1.1MM - $1.6MM) paying an average of 22% over list price. 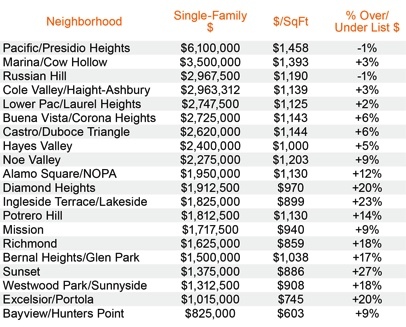 At least 10 homes last month sold for over 40% of the list price, with most located in the Parkside and Sunset neighborhoods. However, the overall number of sales last month came in 20% lower than the month before. This is likely due to a continued dearth of inventory, with the current supply coming in at approximately one month. Condominium values have continued their course of improvement this year, posting a 7% year-over-year gain. This time last year, condominium values were showing a 5% decline year-over-year. Resale condominium inventory currently stands at about 2 months, in addition to approximately 700 new condominiums in actively selling developments. New condominium supply is currently at a 2-year low, and supply projections show a downward trajectory for the foreseeable future. This should allow for continued improvement in the condominium market, especially in neighborhoods with limited new supply. Dedicated to You! From high heels to hiking boots, Cynthia Palmer, Realtor, BRE# 01445659 with Vanguard Properties, is a lot City and a little bit Country representing buyers and sellers of fine homes, viticulture, agriculture and commercial property in San Francisco, Sonoma and Napa Wine Country. 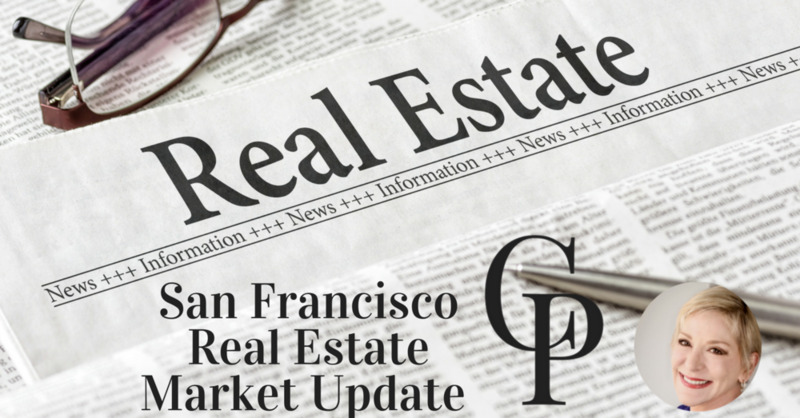 Connect with Cynthia to find out more about how to achieve success when buying or selling your home or property in the Bay Area.